The QHY42-BSI is a cooled scientific CMOS camera with extremely low (1.3e-) read noise and a back- side illuminated CMOS sensor with 95% peak QE. 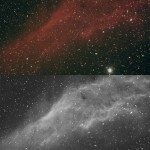 The QHY42-BSI is ideally suited to scientific research, astronomy, biology, UV and low light imaging, and security. 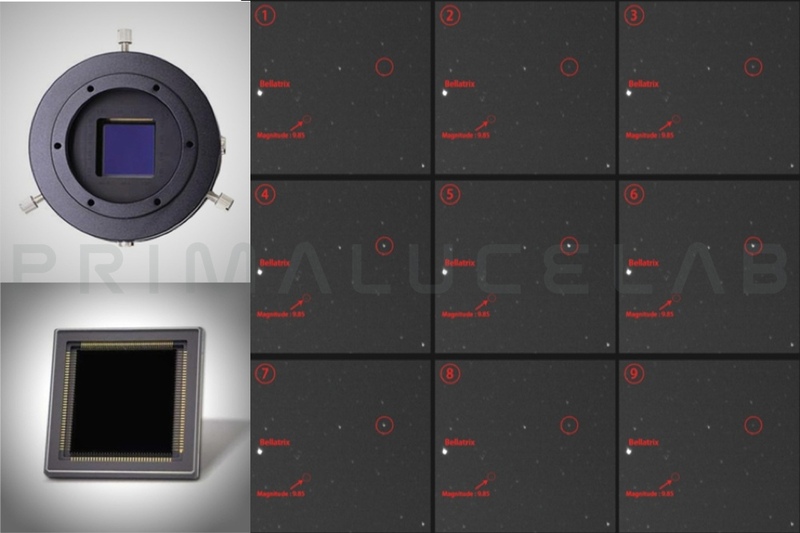 The sensor array is 2048 x 2048 with relatively large 11um pixels and 89ke- full well capacity. The QHY42-BSI is capable of high frame rates up to 24FPS at full resolution. Two stage TE cooling lowers the sensor temperature to -40C below ambient. 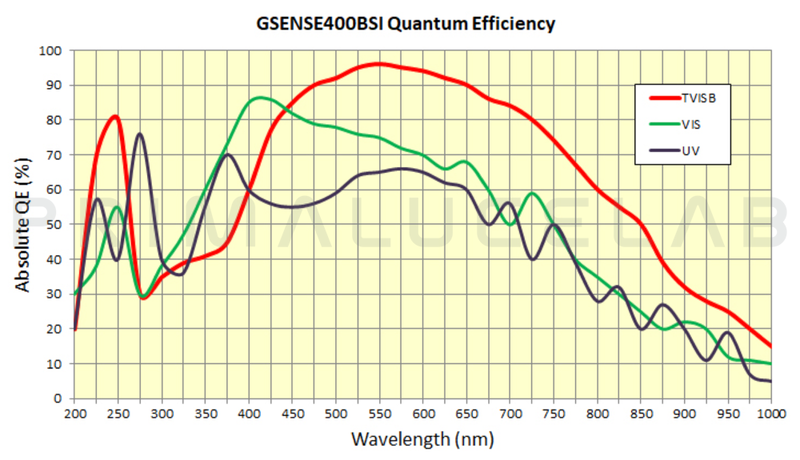 GSENSE400BSI-TVISB sensor of the QHY42-BSI camera has a very high quantum efficiency, up to 95% at 550 nm.